Ignite engaged with poundWISHES as the office of the CTO to be their UX and technology partner. We bring technology leadership, help poundWISHES make strategic technology decisions, streamline and stabilize their development, revamp their user experience and bring in a focus on data analytics and data-driven decision making. Our first task was to bring stabilize the existing system. We immediately brought rigor into the software development, code management & deployment processes. Business affecting bugs were brought under control. Weekly planning meetings and weekly releases gave a clear insight into the platform and metrics to the business stakeholders. Alongside this, we recommended a multi-phased UX improvement and modernizing approach. The web interface was revamped to give the site a fresh look. We established detailed web and campaign tracking to give insights into donor behavior. Tighter and reliable integration with payment providers reduced reconciliation errors and streamlined the crowdfunding distribution. We embarked on a major initiative to bring in an innovative pet gift registry offering, the first of its kind. Donors could gift items to rescued pets rather than just cash. This offering has been a hit. The existing site was integrated with Shopify with custom plugins to support registries. 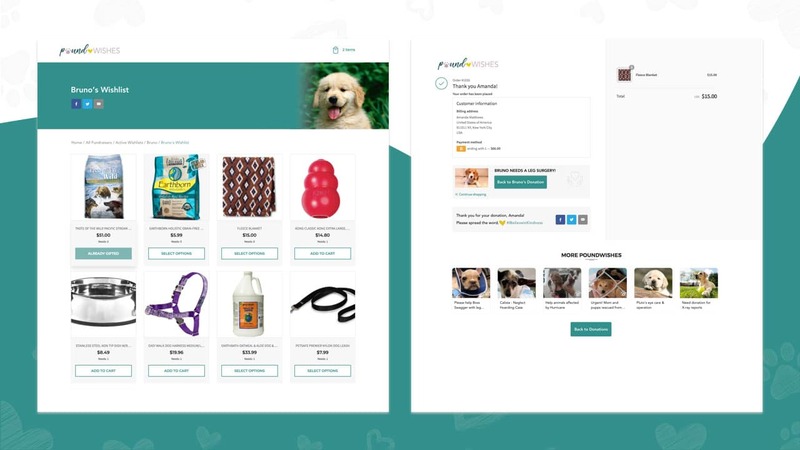 We enabled support integrating multiple pet product drop-ship suppliers. 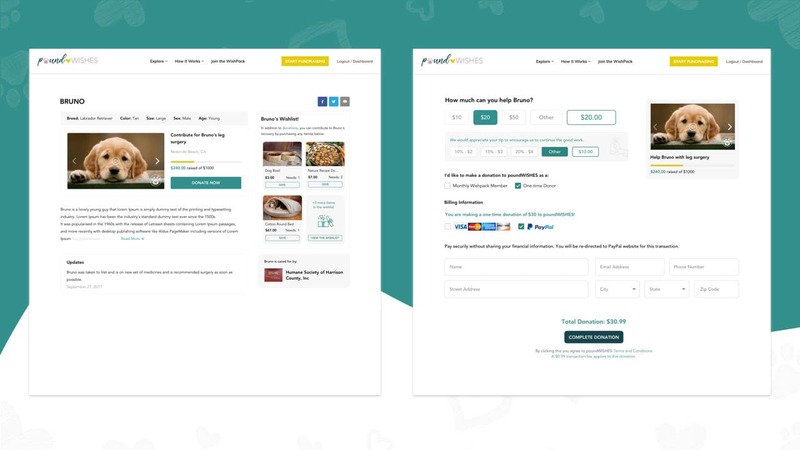 This is a tremendous win for the business and propels poundWISHES to the forefront of crowdfunding platforms. 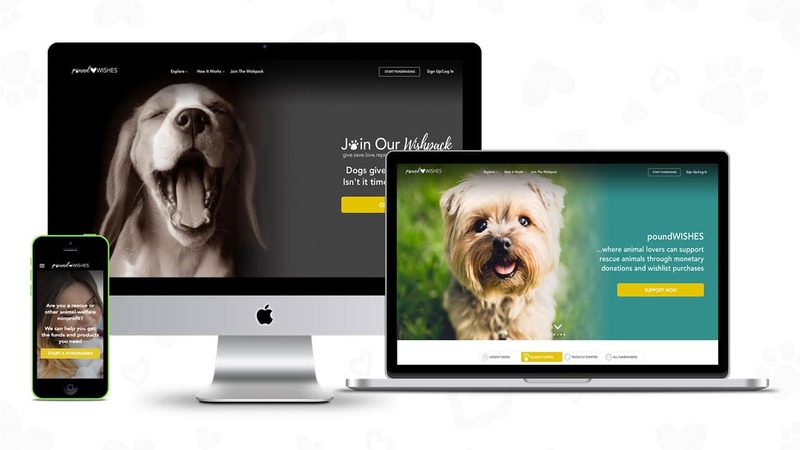 Our next focus is to substantively help the animal rescues and shelters raise funds via a fully redesigned campaign management interface with easy multi-media sharing, contextual messages to improve their campaigns and with a focus on campaign marketing. We’ve but started on this journey with poundWISHES. With our focus on data analytics and tracking, we’re helping with understanding what campaign components work and how to optimize them. We look forward our future with them to execute on multiple strategic technology initiatives.